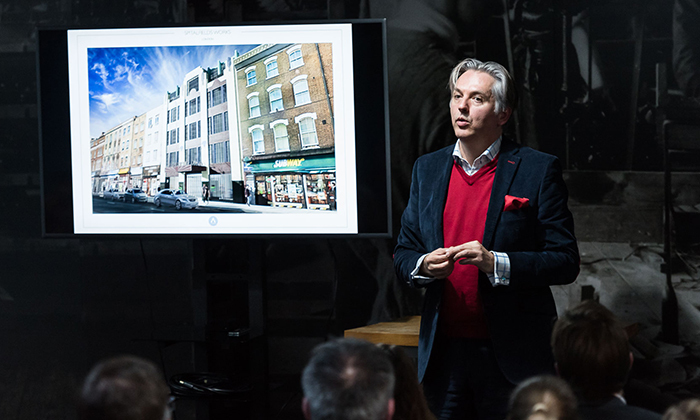 Entrepreneur and sustainable developer Dominic Richards shared with Norfolk Network his £100m vision for breathing vibrancy and economic life back into a long-time derelict space in Norwich. Dominic is waiting on planning permission to regenerate two former shoe factories St Mary’s and St George’s Works in central Norwich. The area known as Norwich’s Shoe Quarter has a great manufacturing and economic history. 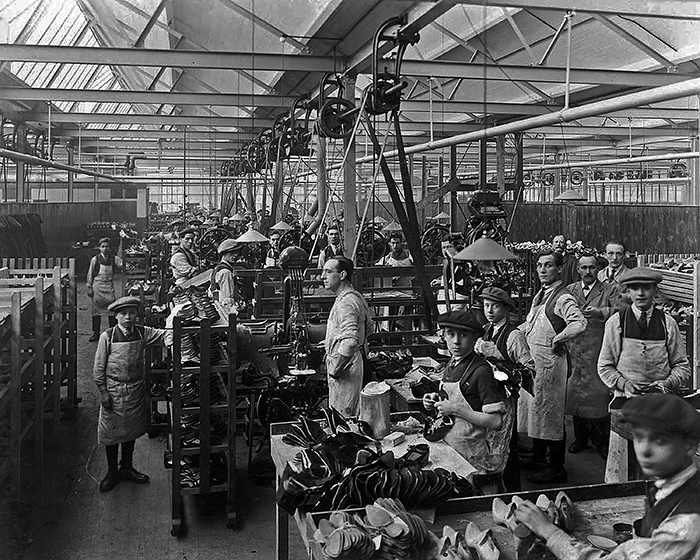 For over 100 years the factories produced quality British shoes and employed local people, but they have been empty since 1976. He sees an exciting future for young businesses to innovative and grow, live and socialise in this quarter. The event took place at No 51 Colegate, Norwich. This refurbished building is the start of the regeneration project and already home to several young businesses. The original shoe factory in Norwich, 1925 – regeneration works in 2016. Dominic has enjoyed success rescuing and finding new uses for wonderful buildings in the UK. Former Vice Chairman and Executive Director of The Prince’s Foundation for Building Community, Dominic’s enterprises comprise of Architekton, a UK sustainable development company, Retreat East, an eco-farm spa development, and Prosper Education, a digital education initiative in China.